The best choice for converting PDF files to EPUB format, 4Media PDF to EPUB Converter can quickly and easily convert your PDF files to EPUB format so you can view them on any eBook readers compatible with EPUB. Simply drag and drop your files to the application and then click “Convert” to have them converted! With 4Media PDF to EPUB Converter, converting PDF files to EPUB format is both simple and straightforward. 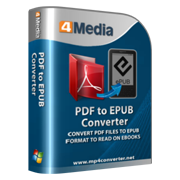 4Media PDF to EPUB Converter can also convert several PDF files at once and convert only the pages you need from the source file. The converted files contain all original file features and neither Adobe Acrobat nor Reader is required when converting PDF to EPUB. Convert PDF files to EPUB format quickly and easily without installing Adobe Acrobat or Reader while preserving all original file features. Choose TXT or picture mode to convert the PDF pages to EPUB. Simple load multiple PDF files and convert all of them in one go at high speed. Simple design – start converting PDF to EPUB straightaway! 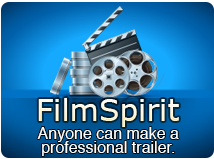 Set the pages you want to convert from the source file, only the specified pages will be converted. This PDF to ePub converter will keep all original features of the source PDF file after conversion. Different languages are available to suit different mother-tongue users: English, French, Spanish, Japanese, German, Simplified and Traditional Chinese.